It’s that time of year, reflection is in the air. Like many others, I am prone to think about the year I’m leaving behind and what I aspired to complete in the twelve months. I like these prompts from Reverb. Often I feel that I fall short. Instead, I’m focusing on the accomplishments and how I’ve changed and grown as a person. Some areas, I exceeded my expectations. Really, I’m thankful and count my blessings. In retrospect, this year wasn’t my best. My aspirations were challenged by several roadblocks. Regardless, I still look back at 2010 and say the essentials were present. Good friends: some friendships grew stronger, others were challenged and some perhaps a bit neglected. Love, I can say without a doubt it’s in my life, perhaps not the form I often would like, a romantic partnership, but it’s there and strong. I explored the world a bit- a few trips, including a great road trip with my best friend to help him embark on a new journey to DC. I saw several new states, it was great fun! Paris, well that’s one that I wanted and didn’t happen. That’s alright, there’s always 2011. The past few months brought some hard times, a wide awakening and more stress and growing up that I wanted. I endured and know more challenges are ahead in 2011. I believe I can and will tackle them. Thinking forward, I’m taking action in December to help set me up for success in 2011. A friend gifted me with a Tarot/Horoscope guide for 2011. The words inspired me. Alluding to a quiet year lacking the success I desired in 2010. 2011 though is destined to be a great year, filled with change. Hopeful, I’m preparing and setting the table to make these things happen. I’d like to dedicate 2011 to being the person I desire to be, living a balanced and rich life. Health is certainly a component to improve upon. I joined a new gym in December. One that is closer to my home and has a pool! I started swimming. January 2, I will begin a 30 challenge. What does this mean? I swim every day in January. Rachel is doing 30 days of Bikram Yoga. A support system, we’ll accomplish both together and set the trend for the year. I’m excited. Others on Twitter are discussing similar challenges, for some it’s going dry or walking for 30 days. It’s amazing how 140 characters or less can be such a cohesive support system. In conjunction, today I found out about the Food Lover’s Cleanse. Developed by local food writer Sara Dickerman. Several local bloggers are committing to the 14 day challenge, I don’t want to use the word diet. No counting calories, rather meals filled with healthy ingredients. The recipes look delicious and relatively easy to prepare. Am I going to cancel eating out and social plans during the two week period? No, but most days I’ll use this as a guide for my eating and cooking. It’s a great way to jump start the year. I’m contemplating blogging about the cleanse. Oh and taking pictures. I know I lack those on this blog. Forgetting to break out my camera. I promise more picture taking. I’m preparing a calm and peaceful living space to increase peace in my world. My life feels cluttered and my living space is a large component of my world at large. I struggle balancing the balls of life. Literally and figuratively. I struggle to balance my worlds, personally and professionally, wanting to be the best at both. Sometimes I fail, dropping a ball or two. The one I drop the most is my home. It’s easy to say, I’ll clean that tomorrow and tomorrow brings another reason to procrastinate. I’ve accumulated a bit too much junk. I’m weeding through the extras clearing the space and bringing a sense of calm. This week I’ve tackled my living room area. Next up is my bedroom, creating an intimate space filled with the calmness I desire. I believe this is especially important because it’s where I begin and end my day.I want to create a more healthy and productive living space. Starting the year off fresh. It feels good. Oh and another thing, it may seem silly, but this year I turn 29, meaning that soon the big 30 looms. I’m excited for my thirties, I hear from so many that it’s a great decade. In my head it means adulthood, embracing myself and my world. I want to be the best person I can be- this means to be healthy, happy, productive and balanced. Perhaps the time crunch is on and I feel that final push. Have I mentioned I am a stellar procrastinator. Well, there is no more tomorrow. It’s NOW. What are your goals? Are there ways you’d like to start fresh in 2011? What do you do to prepare for a new year? Oh and thanks for sharing the journey in 2010. Happy New Year. Cheers to the many celebrations to follow. Inspired by CS Lewis’ poem, this charming space oozes whimsy, elegance and light- from the antiqued-gray wood chandelier to the open kitchen featuring the bounty of simple ingredients, you want to belly up to the bar and stay awhile. Or linger over beautiful crafted cocktails in the small outdoor patio. No wonder why it was just named one of the 10 best in the US by GQ Magazine. 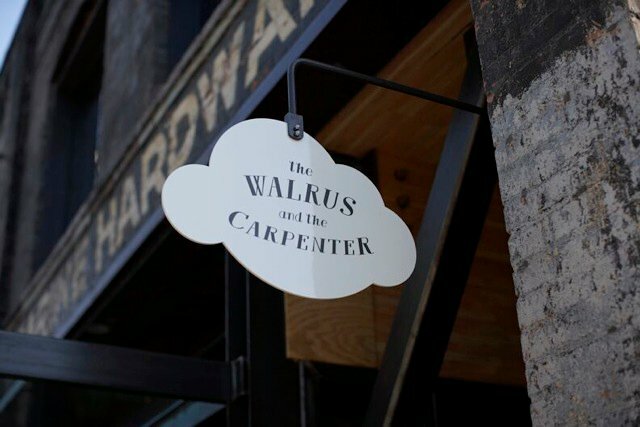 Featuring local seafood, mostly Oysters of course and small plates, The Walrus Bar is surely to be a staple in my neighborhood. My favorites include the smoked trout served atop lentils with walnuts, crème fraiche and house pickled red onions and the steak tartare with farm egg yolk and crostini. In the summer I sipped delightful cocktails such as the Elderflower Fizz with Gin, Lillet, St. Germain and soda. Such few places in Seattle have the genuine warmth and style of The Walrus Bar. I truly enjoyed the new addition to Ballard Ave and look forward to toasting with friends there in the months to come. Tucked away from all the hustle and bustle of downtown Ballard, Sambar became a treasured discovery of 2010. Although many other Seattlelites already raved about their stellar cocktails, I had yet to venture into the small yet oh so charming space. Adjacent to Le Gourmand, Sambar is primarily dedicated to the craft of the cocktail. Jay, the master mixologist can create almost any concoction to your liking using a variety of the lesser known liquors and distinct flavor profiles. 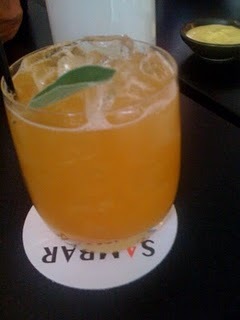 In June, I went to Sambar with a few of my fellow LUPEC ladies, pictured above the Arabesque cocktail: Anejo Rum, East India Sherry, Seville Orange and Sage. A constantly rotating menu does feature seasonal flavors. Oh and don’t miss their fries with the aioli. Light and crispy with just the right touch of salt, I daresay they place in my top 5 for the city! Spinasse is not necessarily the hidden gem or secret of Seattle with all of the recent accolades from the press including Best New Chef and Top Ten Best Places for Pasta from Bon Appetit and Food & Wine. Oh and some person named David Beckham tried to dine a few months ago sans reservation; he was told he had to wait for a table as they were already full! Regardless, I had yet to venture into my new favorite Italian spot in the city until last month. I’ve already returned. The rustic food, provides the platform for perhaps unusual flavor combinations that just work. From an unexpectedly perfect “Russian Salad” composed of house-cured tuna maionese, squash and capers to another Insalata with roasted beets & radicchio topped with crushed egg, breadcrumbs and pecorino, a recent dinning companion proclaimed this may be the best dish I’ve eaten this year. And then there’s the Tajarin pasta. The delicate fine hand cut egg pasta studded with either the pork/beef ragu or my favorite, simply prepared with butter and sage. I like to not think about the obviously insane amount of butter used to achieve perfection. The fork tender tangitelle with milk braised pork was also a hit. Sharing is best. And if they have any rendition of the creamy goat cheese mousse, get it, hands down. I look forward to dining behind the lace curtains among the rustic wood tables very soon. Until then, I’ll be dreaming about possibly the best meals of the year at Spinasse. And possibly making Jason Stratton’s Negroni Chicken with Braised Blood Oranges at home. I have a bit of confession, I could do without the BBQ at Roy’s. The Georgia Gold proclaimed by Sunset to be some of the best in the West isn’t all that grand. But, even before Seattle Magazine let out my little secret, I knew my sandwich of choice at Roy’s. The Oyster Po’Boy. Composed of smoked oysters from Taylor Shellfish topped with slaw & aoili, this po’boy packs just the right amount of punch on a roll from the esteemed Columbia City Bakery down the block. Get it. Even if you aren’t a raw oyster fan, you’ll surprised by the tender and smoky oysters balanced out by the creamy aoili and acidity of the vinegar based slaw. Today, I just read this via Nancy Leson. Roy’s is to close effective Jan 9. I’ll be certain to savour their great Po’Boy one last time. You know those nights you don’t want to cook, it’s pouring rain and you want to eat your food direct from a square Chinese takeout containers. Well, on one of these very nights, I discovered Chef Liao in Phinney Ridge. What I didn’t know is that they make some of the best pot stickers in the city. Others even local experts agree with me. The thickly wrapped, crispy yet chewy pork filled pockets are perfectly fried, while not having that doughy or slimy consistency you find all too often in Chinese restaurants. They remind me of the potstickers of my youth on the East Coast, served with a ginger-soy dipping sauce. Other dishes are pretty decent including the Honey-Walnut Prawns. Portions for items such as fried rice and chow main are extremely generous, easily lasting multiple meals. Although I much preferred the BBQ pork fried rice when I reheated it on the stove and added some green onions. Originally the rice lacked the crispness or rather “fried” aspect. Better yet, they deliver to Ballard and always have hot, fresh food pretty quickly for takeout. Full Pull isn’t a restaurant nor a bar, but is without a doubt is one of my favorite places in SoDo. Think of it as a boutique wine shop. Sourcing some of the best wines from primarily Washington State, they leverage strong relationships with the winemakers to bring stellar wines to the consumer (me!). Oh and the people behind Full Pull are pretty awesome in their own respect. In just one year, they’ve grown tremendously, getting shoutouts from wine buffs and building a bigger fan base week by week. This warehouse is a mighty dangerous place for me to visit- generally never leaving empty handed. Emily introduced me to one of my newest obsessions, Trust Cellars. Full Pull also has hosted several events including bringing wine-makers such as Rotie Cellars, making traditional Rhone style wines using grapes from Washington State to the New Guard ClamBake dinner this August. We gathered at a communal table, talked, drank wine and cracked crab in the tradition of New England prepared by one of Seattle’s rising star chefs formerly of Sitka & Spruce/Tako Truk fame and the newly opened Madison Park Conservatory’s, Cormac Mahoney. Perhaps this embodied what summer should encompass. Others agreed. That’s the kind of space Full Pull creates. An intimate spot for people to gather over a shared interest, share knowledge and raise a glass of wine, comparing notes and discussing the merits of the grapes while perhaps meeting new friends and supporting a local business. This is something I support. Join their email list and buy wine. I promise, the selection and value for the quality of product will not disappoint. Most places seem to forget the golden rule, focus on one thing and do it well. Instead they attempt to offer a plethora of options never striving for excellence in any category. The Noble Fir in downtown Ballard showcases craft beer and cider in a casual setting. With a constantly rotating tap list they offer artisanal ciders and beers sourced primarily throughout the US with a few select drafts & bottles from Europe. The owners, passionate about exploring wilderness of the Northwest, one a former REI employee created a space to reflect their vision. A large wood encased nook with benches houses maps and other nature travel guides. The Noble Fir is just the place to meet friends for a casual drink or spend a leisurely afternoon planning your next camping trip. 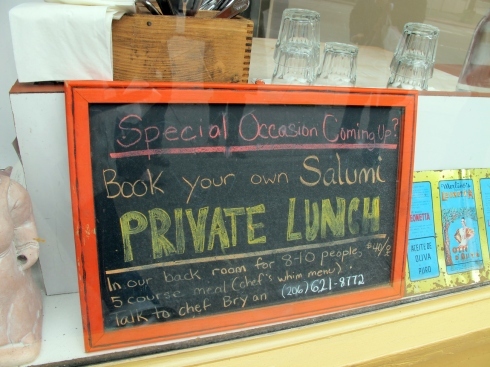 Salumi, legendary for their cured meats produced by the Batali family attracts epic long lines for their stellar sandwiches. Probably one of the most well-known lunch spots in Seattle for tourists and locals alike, I too often frequent this mecca. This year I was lucky enough to experience the back-room lunch, a multi-course meal for a small party booked many months in advance at the extremely reasonable rate of $40 per person (tax & tip additional). Plan in advance, the meal is served a leisurely pace, approximately three or so hours plus you are encouraged to bring your own bottles of wine or consume the “house” wine provided at the table. My friend Lisa wrote in length about the family style meal, however I wanted to give note to this experience and highly recommend you make the time to experience the back-room lunch if you live in Seattle or plan to visit in the future. One of my favorite things about the world of social media whether it be Twitter or Facebook is the ability to learn so much about my friends lives. Whether it be what they are reading (I just finished Amanda Hesser’s Cooking for Mr. Latte) or more about their family. This past holiday season, I thoroughly enjoyed hearing about everyone’s holiday traditions. For so many people, food embodies the holidays. Friends planning feasts in advance, baking cookies for exchanges and parties and most of all talking about what the holidays mean to them. At my office, we receive a holiday ham. Yes, most friends laugh about this, but every year, I try to pimp out my 7.5lb piece of pork to willing takers. Oh and this week, I’ll be making mac n cheese with ham and probably a few soups to freeze. One friend’s family eats lasagna for Christmas. Others, like the more traditional, goose, standing rib roast or turkey. My family traditions are a bit more sporadic, maybe thats because we lack the continuity of traditions. Panettone, the Italian sweet bread, seems to be a mainstay now for Christmas breakfast. One year when I was much younger, I insisted on a birthday cake for the Baby Jesus. I also distinctly remember my mom teaching me the words to Silent Night, to this day, it remains to be one of my favorites, making me smile when I hear and sing the song. Some years we’d have an Advent wreath or calendar, other years we’d forget to put them out! And of course egg nog, that seemed to be a staple in our house for Christmas.This year, I fell in love with the Twin Brook Creamery nog, made locally with just a hint of nutmeg and the perfect balance of rich and sweet. I drank it straight from the bottle, it’s that good. As I grow older, I start to develop my own holiday traditions. My simple apartment still is neglected, no true or formal decorations. Last year, I went to my first midnight Mass! This year, I baked turtle bars from this lovely cookbook: Chewy, Gooey, Crispy, Crunchy Melt-in-Your-Mouth Cookies by Alice Medrich (plus I topped them with a bit of Secret Stash Vanilla Salt- so good!). I drank hot toddies with friends. Attended my favorite annual holiday party in the basement of church. I’m interested in hearing how people begin to cultivate their own traditions. What makes traditions stick? Or do they start to stick once you have a family or children? I like how so many traditions are similar, yet many variations or twists. I imagine almost a recipe box of traditions, ideas and recipes to make the holiday season special. Perhaps this is something I’ll do next year, creating something to save for the future and share with my children someday. One of my new favorite traditions (two years makes it a tradition right?) is this recipe for beef tenderloin from Fine Cooking. It’s perfect for a smaller group, incredibly easy and scrumptious! The tenderloin cooks at a slow roast, yielding a very tender and well seasoned meat. And the double-mushroom ragout is a beautifully rich compliment to the beef. Served with some mashed potatoes, you can’t go wrong with this meal for a festive occasion. 3-4lb. beef tenderloin roast, preferably from the thicker end & trimmed of silver skin & chain. Preheat oven to 250 degrees, rack in the center. Combine the olive oil, thyme, garlic, 1 tsp. salt and a few grinds of black pepper in a small bowl. Put the tenderloin in a roasting pan and rub oil mixture all over it. Roast until meat thermometer reads 130°F for approximately one hour (medium rare). Transfer to carving board, tent with foil and let rest for 20 minutes before serving. Cut into 1/2″ slices. Soak porcini mushrooms in 1-1/2 cups of hot water- stir occasionally til they are soft, approximately 20 minutes. Transfer to cutting board with slotted spoon and chop coarsely. Strain liquid through coffee filter & reserve. Heat 2 tbs. of butter and olive oil over medium heat in saute pan. Add cremini/wild mushrooms, 1 tsp. salt and cook, stirring occasionally until they’ve softened and released their liquid (8-9 minutes). Increase heat to medium-high, stirring frequently until mushrooms shrink and very well browned (8-10 minutes). Reduce heat to medium, add the shallots and remaining 1 tbs. of butter and cook until shallots are softened (1-2 minutes). Add Marsala, thyme, porcini and 1/4 cup of porcini soaking liquid; stir until liquid evaporates (1-2 minutes). Add the cream and cook until reduced to a saucy (thicker) consistency (1-2 minutes). Stir in parsley and season to taste with salt and pepper. I’m scared of several things, most of them pretty standard, you know, snakes, heights etc. Well and one more, something involving hot boiling water and a very precarious process; canning. Despite living in Seattle and being friends with the Canvolution movers and shakers, until recently I wasn’t part of the play group. I take that back, I was an observer/student. Last summer Tea showed Sandra and I how to make delicious peach jam while eating Paseo sandwiches in her kitchen. I took home a jar of jam and thoroughly enjoyed it on toast, but still a bit hesitant to venture on my own. Then I pickled this fall with the ladies of canvolution: Jeanne, Kim and Leslie; they thoroughly directed step by step letting me help with various tasks. I left with a few jars of pickles and a book on preserving, which I leafed through then set on the coffee table to be a glaring reminder that I was going to do this on my own. Post pickling, Patricia of Cook Local offered for me to join in canning tomatoes, so we processed many jars of local tomatoes. I happily assisted, pealing them and adding the lemon juice, consequently taking home pint-sized jars to enjoy throughout the year. Oh and another canning book. You see the trend? I’d yet to venture on my own canning adventure. I did do a quick pickled red onion, but I don’t think that counts. There’s no sterilizing and the other oh so cumbersome steps in my mind. However, I knew what I wanted to make this winter, something I fell in love with on toast this summer. Marmalade. And then this Californian transplant’s favorite came into season, the infamous Meyer Lemon. It was time. I had to face my fears of solo canning. 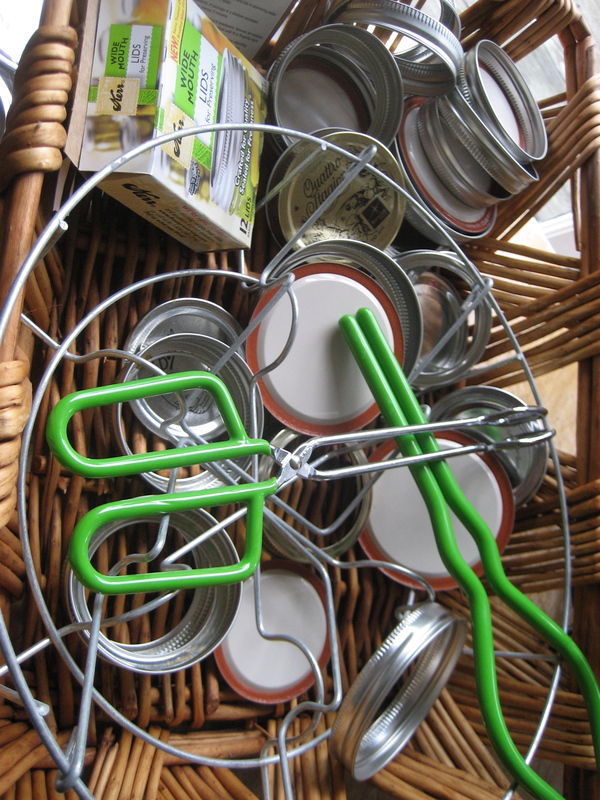 When mentioning my plan to my friend Chelsea, she remarked that she too had also wanted to try canning, but was afraid. So this past Friday, we embarked together in her kitchen to make marmalade; facing our fears of canning together. She had the tools having purchased them on Craigslist awhile back. I found a recipe, bought Meyer Lemons and small 1/2 pint-sized mason jars. We set forth, discussing and questioning each step. Me, I copiously studied that back of the jar box. Do we boil the lids? I racked my brain for a reminder from previous canning experiences. I drew blanks. How do we keep the jars warm while we prepare the lemons? Post washing we used her oven at a low temperature to keep the sanitized jars warm (inspired by the Blue Chair Fruit method). As predicted, the simple “two-hour recipe” for these novices wasn’t exactly accurate. However we proceed to complete each step with a heavy dose of hesitation and precision. Chelsea and I are both bakers, we like the strict guidelines of a recipe. We blanched the rind wondering if there was too much membrane remaining, impatiently watching the water boil. Next we added the sugar and water, wondering if the thirty minutes wasn’t enough time to process and how thick should it be? About an hour later, we decided it was ready to be added to the jars. Afterwards I realized we missed the step to help remove any extra air bubbles. But that’s ok, it all turned out. I put the jars in the hot boiling water using the special canning tongs. This is the step that scares me probably the most. I dislike emptying pots of boiling pasta water, so pretty much this is akin to a HUGE pot of boiling water. Plus what happens if the jars fall- my skepticism in these tongs even with their plastic grip remains. Regardless, one by one, I added our five jars of marmalade to the pot. We set the timer and waited impatiently. Again, what’s the golden rule of cooking? Don’t watch water boil. After about 15 minutes we heard a pop, they were ready. I failed to mention one other canning experience that wasn’t so good, a demonstration that the jars didn’t make that popping sound. Anyways, I again removed the hot jars from the pot and placed them on the towel. And they all popped, like popping corn, a sound I’m very familiar with. I touched the lids to make sure they were hard which they were. Hurrah! We high-fived each other to celebrate our accomplishment. We had successfully canned on our own. To date this was my best canning experience. You know why? I had completed it without the help of friends who I let take the lead. Actually it was me taking a bit of the lead. This felt good. I knew I could do it. And when I open that jar of jam to add to yogurt or spread on a thick slice of brioche, I’ll know this was my creation. I overcame my canning fear. Next up, I will have to purchase my own canning supplies and tools. Then it’s official, I won’t be able to turn back. Facing your fears feels good. It feels silly seeing that so many peers do this all the time, but for me it was real. Thanks to all of my canning friends for the help along the way- without you, I’d probably still be avoiding preserving my own food. Or rather making excuses as to why I don’t need to can. What have you avoided doing that you finally conquered your fear? Is there a kitchen task you avoid like the plague? I’m interested to hear others stories. I promised myself, I’d start blogging more. Perhaps it’s my attempt at cramming in these “resolutions” before the new year or rather as 2010 comes to a close. Plus I’m “killing” time at the office before heading to pick up a friend at the airport. Awhile back, a few friends and I started a group centered around the book The Happiness Project, we developed “goals” we wanted to accomplish each month; the object was to support each other and hold ourselves accountable. Well our “sorority club” seemed to get too busy to meet on a regular basis thus becoming more lackadaisical with our individual goals. However, I can proudly say one of my “goals” this year stuck! I promised myself one “date” night a week. This date meant cooking a new recipe and enjoying time at home instead of my normal tendency to go out. At first I had to plan these nights, schedule them in my calendar. As the months progressed, I found myself automatically doing this, without marking a set night in my Outlook calendar. Originally I planned to blog about them (ahem, this goes back to another goal, but we won’t discuss that), obviously that didn’t happen. But that’s ok because you know what, as the weeks progressed I enjoyed my ritual increasingly. And in turn, my kitchen acquired a few more pots and pans each week. Have I mentioned how much I loathe doing dishes? Some nights still are the requisite eggs, popcorn and salad; those easy and quick meals when cooking for one. However, my impromptu meals now are taking on a different course. I’m more inspired to cook a good meal for myself. Last night was one of those nights. After a few days of more carb-centric meals, I was craving veggies. I picked up some swiss chard, brussel sprouts and broccoli while shopping for items to bake. Post delivering bags of this delicious caramel corn to friends in my neighborhood, I found myself home not having eaten dinner at 9pm. Determined to eat something other than the movie theatre popcorn which served as my breakfast and lunch for that day, I took out the swiss chard and started to cook. Lacking a plan, something delicious and hearty took form. I quickly defrosted some ground turkey and turned them into a meatball of sort. Leftover butter beans from my “pasta for one” also needed to be used. It turns out swiss chard, turkey meatballs and bean stew is something I’ll make again. Meat Balls: 3/4lb or so of ground turkey, two cloves of garlic finely chopped, a dash or two of dried basil, one egg, perhaps a cup of bread crumbs (I used garlic/herb convention ones)- just enough to make the meat balls bind, salt, pepper and a bit of chopped onion. Heat a few tablespoons of olive oil in a dutch oven on medium high heat. Once warm, add the meat balls and brown evenly on all sides. Remove from the pan. Add a bit more olive oil and heat. Add approximately 1/2 onion chopped and another clove or two of garlic plus the stems of the swish chard sliced. Wait til they glisten and start to soften. Then incorporate the leaves of the swiss chard which I coarsely chopped while the onions were cooking. Season with salt and pepper to taste. Cook stirring often for approximately 5 or so minutes. Then add 1/2 can or so of butter beans (any large white bean would do). Mix everything together. Toss in a bit of red pepper flakes if you like some spice. Cook for a minute or two. After the swiss chard begins to wilt, add some chicken broth, just enough to help keep the chard tender. Stir cooking for a minute or so. Then add your pre-cooked meatballs and perhaps some more broth depending on how much liquid you like in your stew. Simmer for approximately 10-15 minutes to thoroughly cook meatballs and chard. Season to taste and enjoy! Serves approximately 2-3 depending on portion size. Dinners like this one are important reminders that not everything is planned in life nor should we stress about the right proportions, rather sometimes the best things just come together. Cooking shouldn’t be arduous nor cumbersome. Even a food-centric person like myself gets caught up all too often rather than thinking what sounds good. And this trial and error is one for sure I’ll repeat. What have been your most successful impromptu trial and error meals? A few months ago I had the opportunity to meet a celebrity. No, not Justin Bieber. Way more exciting. Dorie Greenspan. Dorie’s a baking star, the author of many amazing cookbooks, especially devoted to desserts and Paris. I first remember learning about Dorie from my mom’s copy of Baking with Julia. Her recipes feel like home, her warm personality shines through making you feel like you are beside her in the kitchen. 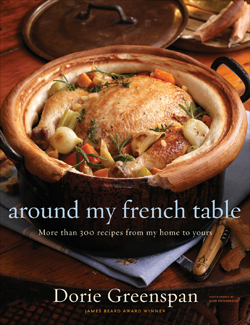 In honor of the occasion, I bought her new cookbook, Around My French Table: More Than 300 Recipes from My Home to Yours. Meeting Dorie was a true pleasure, she’s as delightful in person as you would imagine from reading her cookbooks. She took the time to introduce herself to all of us attending the potluck arranged by my friend Myra (Seattle Bon Vivant). Each of us contributed something to the table, both sweet and savory from Dorie’s various books, all of which equally delicious. Recently I’ve been cooking more in my tiny kitchen, finding new recipes from my favorite blogs, magazines and re-visiting cookbooks collecting dust on my bookshelf. However this week, I knew exactly the book I wanted to use, my newly signed copy of Around My French Table. Skimming through the book there were plenty of mouth watering recipes each with serving suggestions and variations or as Dorie coins “Bonne Idée.” What I love about these classic recipes are that they are meant to be cooked in the home. Most ingredients are simple, found in your local supermarket or farmers market; easily attainable for the average cook. But you want to know what really made me smitten for Dorie’s book. A lamb dish. Ironically I don’t like lamb. However her description of the aromatic spices infiltrating your house on a cold winters day made me want to branch out and try something new. As Dorie explains, French cuisine has many Middle Eastern influences especially Moroccan thus the combination of cardamom, curry, figs, honey and apples in the braised lamb dish. This dish converted me. I couldn’t get enough of the tender lamb. For that I owe Dorie. Braised-Cardamom-Curry Lamb is the sort of dish that you’ll want to make on a Sunday afternoon, slowly simmering on the stove and one you’ll make not only for yourself, family but also guests. Also note, it freezes impeccably, re-heating just fine including in the microwave. Yields 6 servings. Can also be served with rustic bread, wide egg noodles or a rice, but I found the dish perfectly filling on it’s own. 1. Heat a large, heavy bottomed casserole or Dutch Oven (this is what I used) over low heat and add 2 tablespoons of olive oil, when the oil is hot add the onions, garlic, curry powder, cardamom powder & pods. Heat, stirring often til the onions are translucent and soft for approximately 10 minutes. 2. Add the cubed lamb (which has been patted dry) and increase the heat to medium. If the mixtures seems dry you can add a bit more olive oil. Season with salt and freshly ground pepper to taste. Add the water. Tie the mint with kitchen twine, remove the mint leaves & chop. Add the mint stems and half of the chopped mint. Also add the honey, figs and raisins. Scatter the potatoes and apples over the meat. Season with more salt and pepper; bring the mixture to boil. 3. Lower the heat to a gentle simmer, cover the pot with aluminum foil and cover with the lid. Braise for approximately 1 hour and 15-30 minutes. The meat and potatoes should be tender enough to be pierced easily with the tip of a knife. 4. Taste the juice, adjust seasoning with salt and pepper to taste. Sprinkle the remaining chopped mint on top and ladle into shallow soup bowls. Source: Recipe from “Around My French Table” by Dorie Greenspan (Houghton Mifflin Harcourt, 2010).